In almost every business and home I visit there is a complaint about the wi–fi. The reasons are many and varied. I’ll go through a few of them here. 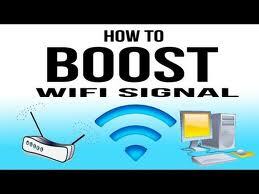 For any one particular day you should ignore your wi–fi’s performance. It’s only when you have used it long enough and noticed a consistent trend that it make sense to problem solve. This is because your service provider may have a problem and you don’t want that to cause you to chase around your local network and then something random you did magically seems to have fixed the problem when your ISP returns your service. I’ll mention some common fixes you can consider. 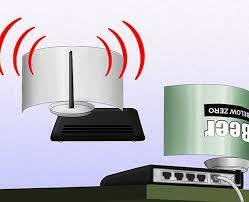 Centrally locate your wi-fi router around the places you need wi–fi. Diagram your building(s) and plot points where you use wi–fi. Assign bigger dots to more frequent or important access. This will show you how you want your signal distributed. Make a DIY range extender. I made one of these years ago and it improved wi–fi access throughout my home. 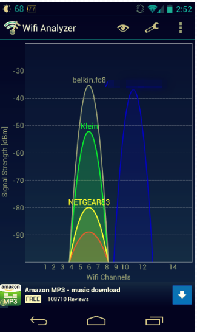 Check out a WiFi Analyzer to ensure your signal is not interfering with your neighbors signals. This screenshot is an actual picture of the wi–fi in my home. Notice all the clustered ones around the same channel? It means they have a lot of interference and as a result poor performance. Get a new router or upgrade your firmware. 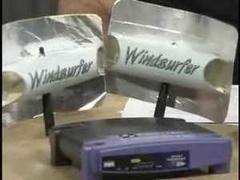 If you are a tinkerer then you can go online and find custom ROMs that will make your router dance. If not then read about your specific router and see if it is an anemic asthmatic blowing through a straw. A good value medium price router is the Asus RT-N66U. It powers through walls and floors to give you great reception. Are you using 802.11 a/b/c/n ? Get to use the latest ones for best performance. Know that some of these are super fast but at closer distances while others are better at access from farther away.